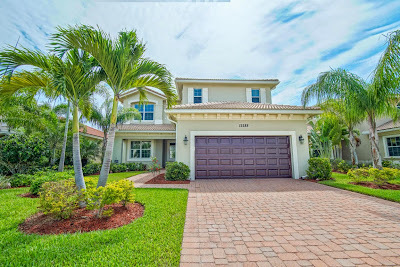 Serenely situated within the premier community of Paloma in the picturesque city of Palm Beach Gardens, Florida is this impeccably maintained lakefront home. Composed of 4 graciously proportioned bedrooms and 4.5 beautiful bathrooms, this remarkable Paloma residence captures incredible lake views throughout its 3,356 square feet of stylishly crafted living space. A gourmet kitchen awaits the chef of the family featuring rich espresso wood cabinets with soft close feature, under cabinet lighting, a wine cooler, glass tile backsplash and a full suite of high-end stainless steel appliances. Highlighted by scenic lake vistas, the meticulously manicured backyard provides the perfect outdoor oasis with an expansive covered lanai and a stunning resort-style pool with spa. Additional details include marble and hardwood flooring, etched glass entry door, an office, generous dining and living room, a luxurious Master Suite with spa-inspired bathroom and a 2-car garage. 12288 Aviles Circle is located in Palm Beach Gardens and is currently asking $935,000. 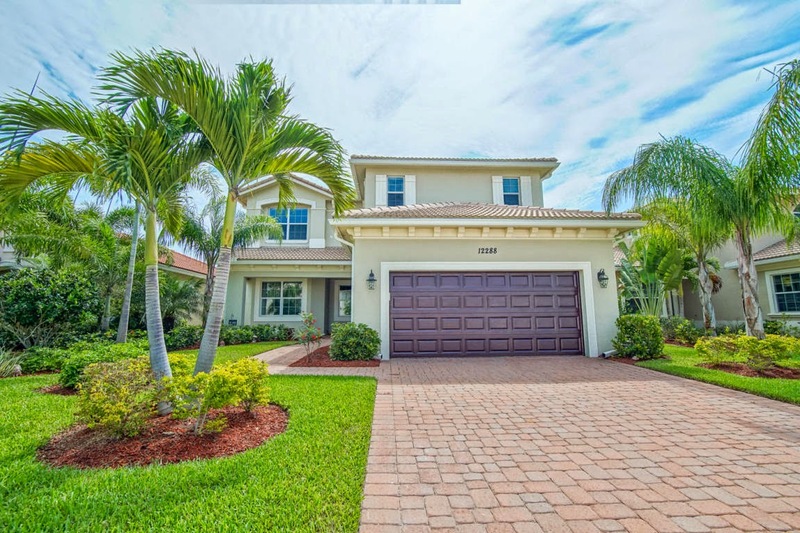 This Paloma listing is courtesy of Keller Williams Realty Jupiter MLS# RX-10131896. Paloma is a sought after community of Mediterranean inspired homes ideally located in the heart of Palm Beach Gardens, Florida. Residents of this gorgeous gated community enjoy a number of deluxe amenities including gated entry, a stunning swimming pool and a clubhouse with state-of-the-art fitness center. Perfectly situated, Paloma also offers residents a premier location just moments away from several of the area's signature elements including Gardens Mall, Downtown at the Gardens and Roger Dean Stadium. Miles of pristine beaches beaches are also just a minutes away.